It has been 2 years in the making but the day finally came for our 15 day Journeys cruise to Hawaii. A Journeys cruise is a longer than usual cruise to different ports than usual with educational seminars and port specific activities onboard. They only happen 2-3 times a year with Carnival Cruiselines. 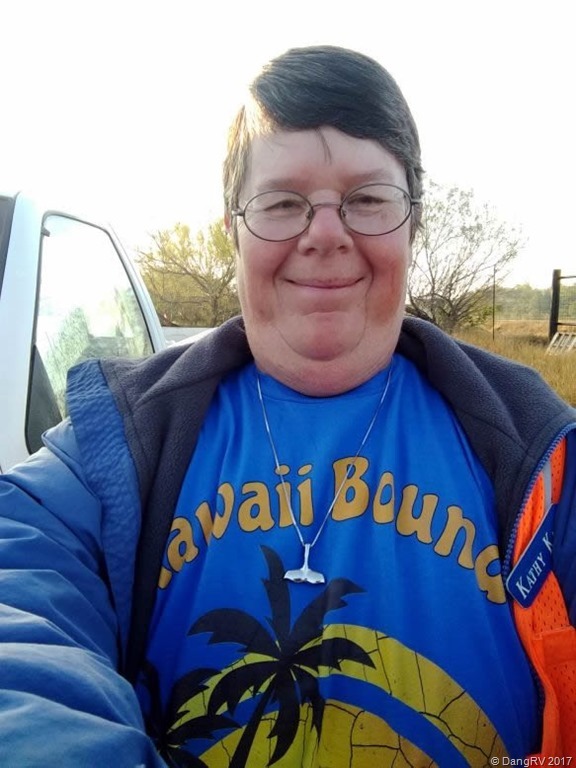 After setting up a substitute in my RV to handle my gate while I was gone, I donned my Hawaii Bound T-shirt and drove off to the airport in San Antonio. As usual, I parked my truck at Budget secure parking and hopped their shuttle to the airport. When I arrived at the airport and checked the bags, I had to go to the Clear booth to finish registering and scan both my eyes and fingerprints. Now personally, I find this very intrusive and normally would not go for this service but since I am ex-military and ex-NASA, the government already has all my personal info, fingerprints, eye scans, etc. so for me it was not a privacy issue. My privacy is long gone! With a little searching online, I found a 3 month free trial online for this service and then a significant yearly discount on top of that. The service costs $159 a year I believe but only $99 a year if you are a a member of one of the airline sky miles clubs. It was either American or Delta (I don’t remember which) but joining airline miles clubs is free. What Clear does for you is get you concierge service that takes you to the head of the line at TSA security scanners. Having TSA precheck is great and I highly recommend that but at some very busy airports even that line may be long so Clear will get you to the front of both the precheck and non-precheck lines. If you fly a lot, it is well worth it. If you fly only 1 or 2 times a year, it is not worth it. I had booked a return flight out of LAX with a very tight timeline from the time my ship docked so I thought I would try Clear to make sure I made it to the gate in time. I must say I enjoyed it very much! Getting through security was a breeze on both ends. I flew Southwest to Los Angeles, CA. I LOVE Southwest! It costs a little more but they let you check 2 bags free and carryon 2 bags free. They also provide beverages and snacks like in the good old days of flying without charge. Getting a good seat is also pretty easy if you remember to login exactly 24 hours before your flight’s departure time. The sooner you login, the better your assigned place in line to board and better your seat choices. Since I was going to be very busy on the gate that day, I paid the extra $15 to have them check me in automatically. I paid it again for the return trip since I would be out at sea the day before my flight back. I rarely pay for auto check-in but for this trip it was necessary. 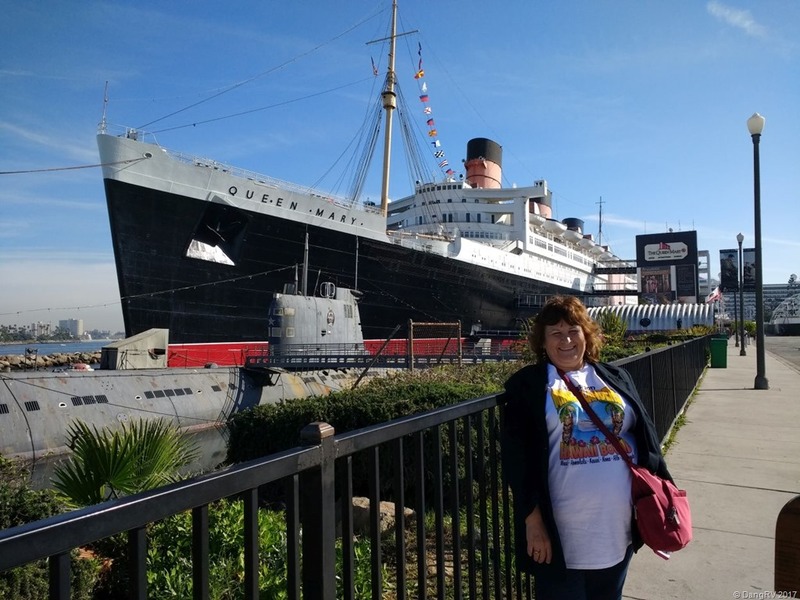 At LAX, I met my cruise buddy, Bernie Ludwick, at baggage claim and we hopped a pre-paid Super Shuttle ride to the Queen Mary in Long Beach. The Queen Mary ship/hotel is berthed right next to the Carnival cruise terminal just a short walk away or a quick hotel golf cart ride. 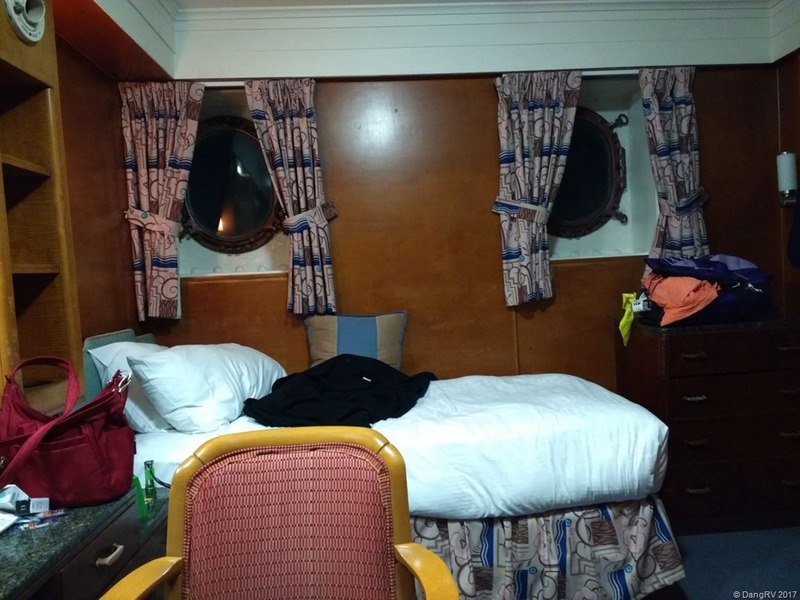 The Queen Mary is very old so staying there is a look into the past at cruising in the days before airplanes. Many famous people traveled back and forth between the continents on her. Cary Grant loved cruising on it. What was once considered the ultimate in luxury, by our standards today, is just average. Yes, it seems a bit rundown. The plumbing and AC are weird. The rooms are small. The diner is expensive though the food is quite good. Getting to the various tours requires a LOT of walking. I can’t say I would necessarily want to stay on it again but it was great this one time to see the exhibits and how people used to travel. The Queen Mary is about history, not modern accommodations so adjust your expectations and attitude while onboard. The next morning, we waited in line for our turn to get a ride next door in the golf cart. We had a lot of luggage with us for the longer cruise or we might have walked over instead. At the Carnival terminal, the lines for the staggered check-in moved very smoothly and we quickly got onboard ship. We ate lunch at the buffet and toured the ship until our room was ready. 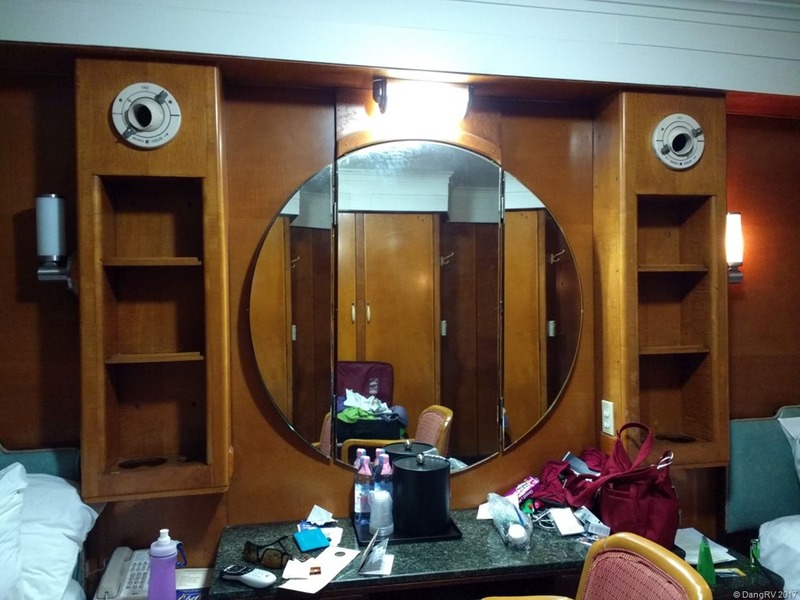 As usual, we brought our bathing suits, electronics, and medicines in our carryon so we would have them immediately rather than waiting until our luggage was delivered to the room. For pics of our Hawaii trip click here.